As women reach their late ’40s or early ’50s, the body begins to undergo menopause. At this time, the ovaries’ ability to produce the hormones progesterone and estrogen is depleted. Therefore, women stop menstruating at this stage. In addition to interfering with menstruation, menopause is known to affect almost every system in the body of a woman. One of the common side effects of menopause is the hot flashes that occur in the form of sudden gusts of warmth spreading across the body. Hot flashes affect approximately 75 percent of women in the menopausal stage and are a prominent reason for such women seeking medical attention. On average, the symptoms of menopause could last for five years or more and even interfere with the ability of a woman to sleep comfortably. This article seeks to find the impact of the circadian rhythm on menopausal hot flashes. The circadian rhythm refers to the internal biological clock responsible for initiating and regulating the different physiological processes according to a fixed time-controlled schedule. The primary circadian pacemaker is located in the hypothalamus in the brain. Throughout the life of a human being, the circadian clock experiences different changes at the molecular and physiological levels through a complex and multifactorial series of processes. The circadian rhythm thus affects numerous aspects of the body. For women in the menopausal stage, the changes could lead to mood disturbances, impaired cognition or metabolic changes. Hot flashes are defined as a sudden, excessive dissipation of heat. 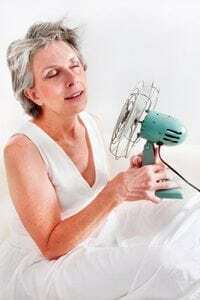 Hot flashes commonly occur in the menopausal period and result in profuse sweating, intense internal heat and peripheral vasodilation that occur during heat loads. During a hot flash, the heart rate also elevates dramatically. Additionally, hot flashes result in several effects including increases in skin temperature in the forehead, chest, calf, abdomen, cheeks, upper arms and thighs. Also, during the hot flash, there is usually increased blood flow in the hands, calf, fingers and forearm. Such effects typically erupt within the initial seconds of the onset of a hot flash. Hot flashes also tend to adversely affect the quality of sleep as menopausal women usually awaken consistently throughout the night. It has been noted that the circadian rhythm has an impact on hot flash patterns. In normal circumstances, the body temperature regulation operates within a specific thermoregulatory zone optimized via the perspiration and vasodilation processes. During menopause, the thermoregulatory zone is decreased, resulting in a situation where the woman’s body is less tolerant to changes in core body temperature. Further, evidence suggests that the circadian rhythm affecting hot flashes is linked to the body’s core temperature circadian rhythm. Hot flashes often spike when the core body temperature is at its highest. This means that for most menopausal women, hot flashes occur right after a slight rise in core body temperature. This situation occurs because the woman’s body during menopause is less tolerant to temperature changes. Therefore, a small spike in temperature triggers hot flashes. The characteristic circadian rhythm associated with hot flashes is linked to sleep patterns. Evidence suggests that the strongest associations for hot flashes frequently occur during sleep. Also, the uncomfortable and unbearable warmth tends to manifest more prominently during the evening, when core body temperature is highest. This implies that hot flashes occur regularly during sleep. Sleep follows a certain circadian rhythm. Consequently, such evidence suggests that the sleep circadian rhythm also impacts hot flashes. The circadian rhythm also affects estrogen production. Similar to other hormones, estrogen adheres to both a 24-hour and monthly cycle. Since the side effects of menopause arise due to the decrease in various reproductive hormones, the effects follow a circadian rhythm. 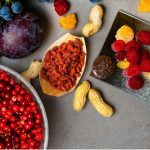 Because a woman’s ability to produce hormones is impaired during menopause, it is highly likely that the impaired function will cause spikes and drops in hot flashes in a predictable fashion.